Welcome back to the Halloween Recipe Party! 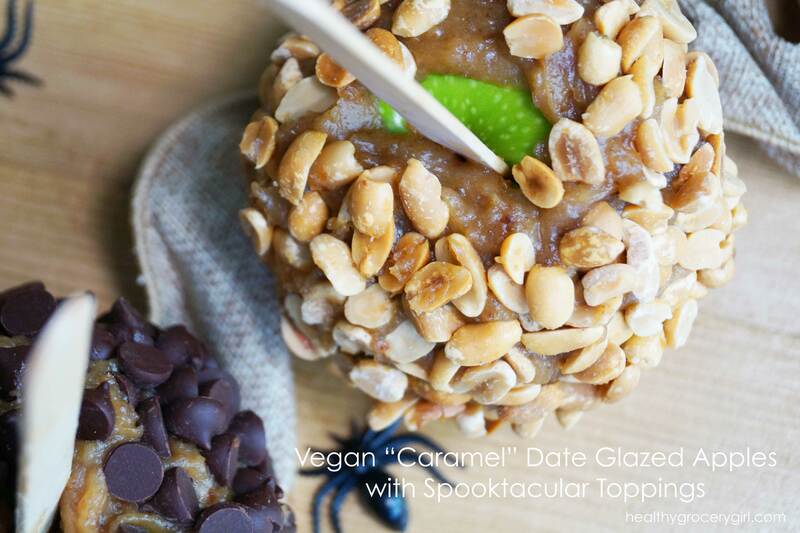 Today, I am sharing with you how to make a “Caramel” Date Glazed Apples. 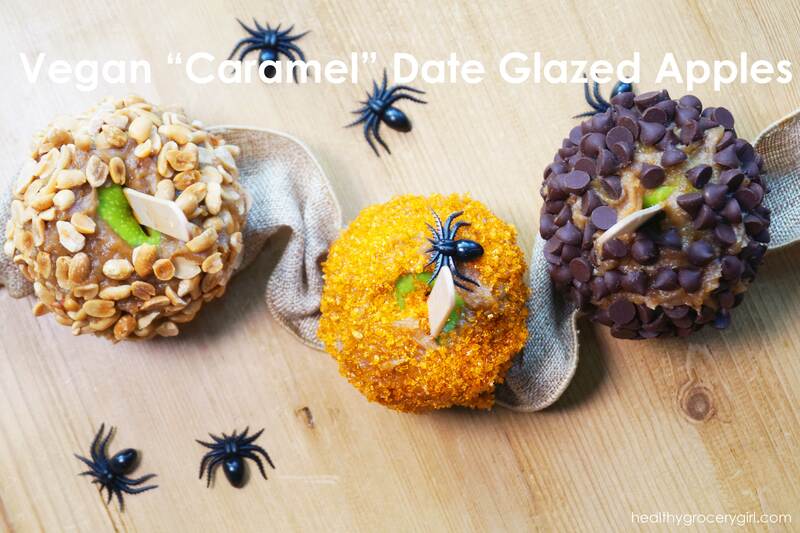 This glaze (which is a recipe from the Healthy Holiday Dessert Guide, Get Yours Here! ), is easy to make and really a two-in-one recipe. This recipe can be a delicious dip for apple slices or use this recipe as a glaze to make… “Caramel” Date Glazed Apples! This recipe will make enough glaze to cover 3 small apples or 2 medium apples. I would recommend doubling the recipe for good measure! It's always nice to have more than enough glaze, than not enough! This glaze is a little high maintenance in that is does take some patience to ensure that the date glaze sticks to the apples. The first time I tried making this, it didn’t go very well! The next time I made this recipe I made some changes in my process, and it turned out a lot better! To ensure you have a enjoyable and successful time making this recipe… here are my tips! Tip One: Buy Organic apples. Conventional apples can be coated in wax, this gives them a glossy shine which makes it very difficult for the date glaze to stick. Organic apples (which I buy and recommend) do not have a wax coating. Tip Two: Give your apples a good wash and scrub before you glaze! 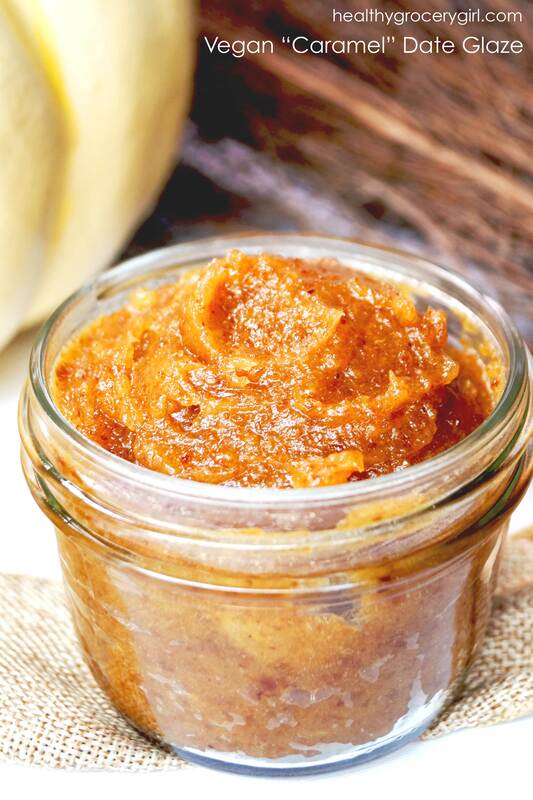 A clean dish towel works well to rub and “rough up” your apple skins, which will help the date glaze stick. Tip Three: Place apples in the refrigerator after you decorate them, this will help them to “set”. Since this glaze contains coconut oil and coconut oil hardens when it’s in the refrigerator, this will help everything stick together really nice. Tip Four: Last but not least you can…. forget glazing and try dipping! If you would rather get to eating than take the time to assemble and decorate… try this recipe as a dip for fresh apple slices instead! 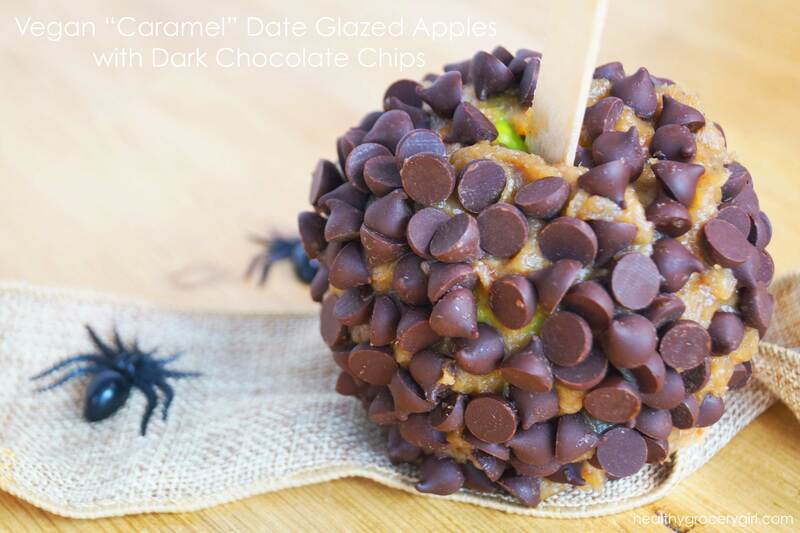 You can still use all of the toppings such as peanuts, dark chocolate chips and sprinkles to decorate your apple slices after they’ve been dipped in date glaze! Sprinkles: I love Confection Craft Natural Sprinkles. 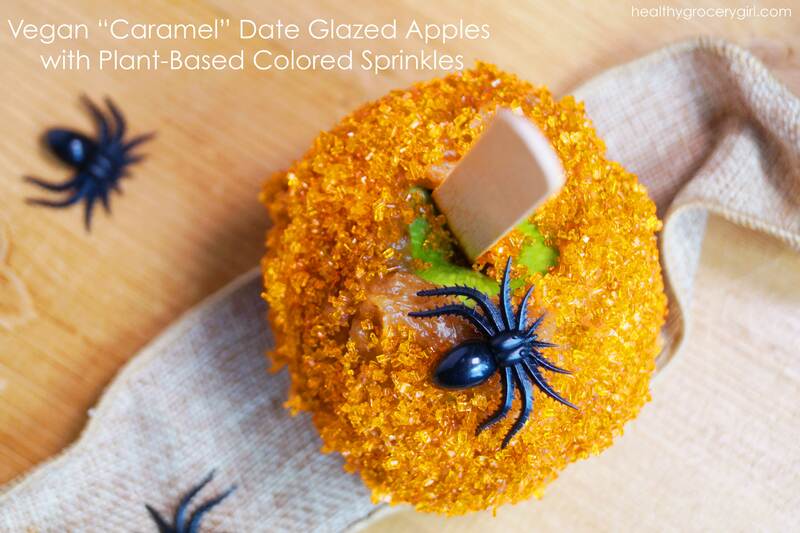 These sprinkles contain no artificial colors! Instead they are plant-based! Therefore what gives these sprinkles their bright color are fruits and veggies! Dark Chocolate Chips: Equal Exchange Chocolate Chips are my favorite right now. They are vegan and contain no soy lecithin. Get More Recipes Just Like This! Check Out The Healthy Grocery Girl Healthy Holiday Dessert Guide!